As stadium construction costs continue to rise, there is an increasing amount of scrutiny devoted to the contractual obligations of the interested parties that make up the public-private partnership. According to the American Society of Civil Engineers, cost overruns have become “almost a natural part of building and infrastructure projects.” It is imperative that public and private participants in the sports facility development process allocate financial responsibility through their contracts to address the real threat of construction cost overruns. Cost overruns are broadly defined as the amount by which a construction contract’s actual costs exceed the budgeted, estimated, original, or targeted costs. Cost overruns are a major source of concern for parties to construction contracts, as unforeseen circumstances and unavoidable variances are inherent in any construction project. The construction and development of sports and entertainment venues pose no exceptions in the realm of cost overruns. Change in scope of the project. 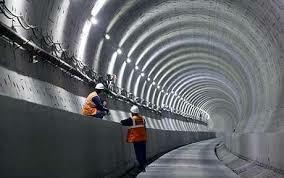 Well known projects worldwide have experienced construction overruns or over budget expenditures. 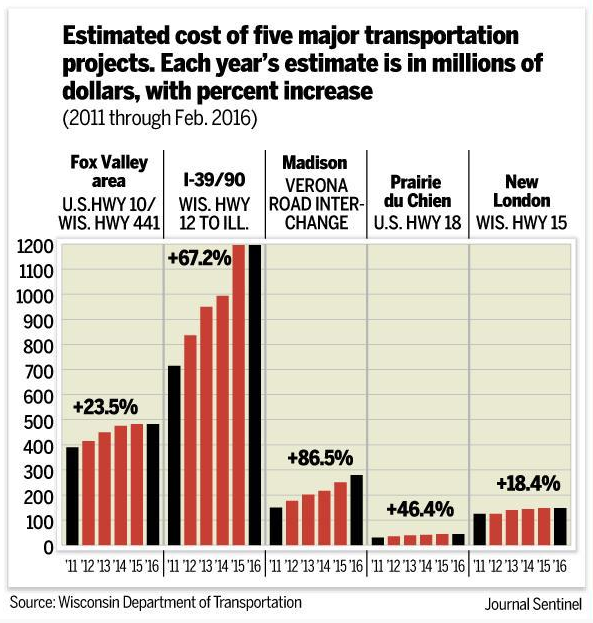 In southeastern Wisconsin, highway project delays have accumulated more than $700 million in construction cost overruns. Construction cost overruns have become common and contentious in the construction industry, and it is increasingly important to manage risks throughout the process in order to prevent unwanted consequences. The construction and development of professional sports venues are greatly impacted by the problem of cost overruns. Politicians and communities can become very upset over project delays and the appropriation of funds when public tax dollars are in the balance. Though cost overruns are not unique to the sports industry, the repercussions are more evident given the visibility and popularity of modern American professional sports, and the fact that the public is footing part of the bill. Contracts determine who bears the obligation of cost overruns. An interview with Barry LePatner, a Construction Attorney with LePatner & Associates, examined the mass inflation that has plagued construction projects for the last twenty years. 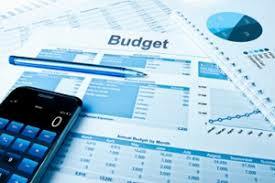 LePatner details that an imbalance in information is at the core of many busted budgets. The detailed nature of construction product and service pricing is often difficult for team owners to understand, which is beginning to lead to a major paradigm shift in the construction industry. Whereas it was typical for the lowest bid to win a particular contract, regular cost overruns and change orders have forced owners to abandon the assumption that the lowest bid will the most cost-effective. LePatner arges that there is no reason for stadium-sized projects “[n]ot to be built to the exact design specifications that were submitted, for a true complete price.” The aforementioned information gap combined with pressure from construction managers to meet deadlines has created a pattern of ‘fast tracking’ projects without completed designs. LePatner asserts that excessive change orders and additional design drawings are frequently associated with a ‘fast-tracked’ stadiums and will lead to 20-30% price increases. Today, construction loans are regularly secured with no less than 40-50% of the required equity, which has only tightened project margins. Moreover, these price increases are borne by the end consumer as owners are unable to secure last minute commitments from public entities or mezzanine lenders. Inflated prices have only led to owner attempts to recover massive budgetary gaps by selling seat licenses and increasing prices on food, drinks, apparel, and parking. Cost overruns can impact all parties involved in a construction project, but overruns can cause an enormous burden on a governmental unit that agreed to fund a stadium. 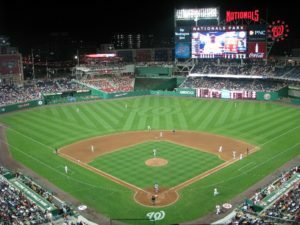 As of 2010, taxpayers had shelled out about $10 billion more than originally budgeted to construct the more than 100 major-league stadiums in the United States. Of these examples, the stadium financing disaster in Cincinnati, Ohio is useful to observe the detrimental effects of publically borne cost overruns. As of 2016, Hamilton County had spent $920 million for the construction, development, and operation of Paul Brown Stadium, home of the Cincinnati Bengals (“Bengals”) of the National Football League (“NFL”). When taxpayers voted to approve a tax increase to pay for new stadiums for the Cincinnati Bengals and Reds in 1996,  they were promised the continued existence of the professional franchises in Cincinnati, the lowering of property taxes and the creation of a revenue-producing Ohio River business district. Today, those promises have remained unfulfilled—taxes have been raised, revenues from the facilities stagnated, and Hamilton County is obligated to pay $2.7 million or more in game-day operating costs. By the expiration of the lease term in 2026, the estimated total public contribution will exceed $1.1 billion dollars. The 1997 Lease Agreement (the “Lease”) signed between The Board of Commissioners of Hamilton County, Ohio (the “County”) and Cincinnati Bengals, Inc. was predicated upon the original Memorandum of Understanding signed between the County and the City of Cincinnati, which levied a half-cent sales tax in order to fund the construction of Paul Brown Stadium for the Bengals and Great American Ballpark for the Reds. Though the construction of Great American Ballpark was no simple task, the Reds promised to pay for all construction cost overruns in order to shield the taxpayers from financial liability. 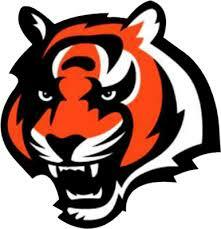 Thus, th focus of the section will be the disastrous financial obligations imposed by the construction of the Paul Brown Stadium. The redevelopment of the riverfront district was intended to “keep competitive and viable major league football and baseball teams” in Cincinnati. A 1996 report by the Center for Economic Education at the University of Cincinnati determined that the new stadium ventures were estimated to bring in $296 million a year in new spending to the City. However, it is clear that the Lease was crafted to prioritize the construction of the stadium at all costs rather than protecting the public investment. Though officials were excited at the outset for the opportunities associated with construction of the new stadium and other riverfront developments, Hamilton County would quickly realize the error in their agreement to finance Paul Brown Stadium. The Lease was clearly drafted to grant a large amount of influence to the Bengals over County expenditures, giving the Bengals the power of the purse—the County’s purse. The Lease contains paragraphs granting broad latitude over construction decision making, and a small concluding provision that would exempt the County from performance of its obligation in the case of a material breach by the Bengals. Article 3 of the Lease established that the County owned a 100% undivided fee interest in the property, and Article 10 set out rights to revenues generated at the stadium facility. While the County was responsible for all construction cost overruns and owned a ‘100% interest’ in the property, the Bengals still managed to reserve the rights to all revenue generated on Game Days, and even 11% of all revenues collected from the County-owned parking structure. Exhibit C of the Lease Agreement set forth the budget for the ‘base stadium’ to include: (1) direct construction costs, (2) furniture, fixtures and equipment, (3) permits and assessments, (4) construction management fee, (5) construction contingency, (6) design contingency, (7) escalation, (8) allocable portion of design fees and other owner direct costs (including project management fees, for a an estimated cost of $269,913,934. Because the Lease was signed before design plans were finalized, the Lease was entered into upon an understanding that plans would be bargained for in the future. If the County were to disapprove of the Bengals’ plans it could either increase the budget to accommodate the plans, or submit revised plans to be approved by the Bengals. The term of the Lease was to run from May 29, 1997 (“Commencement Date”) to June 30, 2026 (“Expiration Date”). Not to be overlooked, Article 12 of the Lease creates a County obligation to provide ‘Level I Stadium Enhancements’ as determined by the existence of such enhancements in fourteen other NFL stadiums. According to the Lease, ‘Level I Enhancements’ include “[n]ew stadium-related Improvement which is not available in stadia as of January 1, 1997 or, if then available in some form, is not currently prevalent in existing NFL stadia of such date, which is capable of being added within the structural confines of the Stadium Complex.” The Lease provides several examples of what could be considered a ‘Level I Enhancement:’ (1) ticketless entry system, (2) stadium self-cleaning machines, (3) holographic replay system, (4) smart seats, (5) new forms of playing field surface, (6) next generation video screen, (7) next generation sound system, and (8) premium seating products different from private suites of club seats. 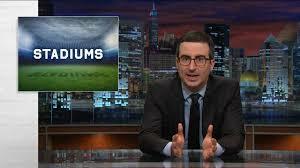 Host of HBO’s Last Week Tonight, John Oliver, summarized the contingency deal in saying that “[t]he Bengals have a deal whereby if someone invents holographic instant replay in the future, the [C]ounty will pick up the tab.” The Lease is chock-full of rights granted to the Bengals whereas the County incurred large financial obligations without the receipt of greater rights to determine necessary improvements or to collect full revenues from use of the facility. 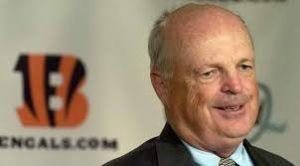 Bengals President Mike Brown broke ground on the Stadium Complex on April 26 of 1998 before 3,000 of the Bengals’ faithful, and a group of individuals donning their ‘Shoot Me – I Voted For the Stadium Tax’ shirts in protest. Afterward, Brown expressed his pride in being a catalyst for bringing major redevelopment to Cincinnati’s riverfront district, despite the outcry over the large public expenditure. A year after the facility opened in 2000, the County hired New York auditors PricewaterhouseCoopers to review $51 million in cost overruns expensed during the construction of Paul Brown Stadium. The process for the project guaranteed maximum price (“GMP”) and potential revisions is included in Article 4.6 of the Lease, and the original GMP amount of $269,913,934 is contained in Exhibit C of the Lease. Auditors reviewed more than 400 changes to the stadium GMP and determined that more than 70% of the unrecoverable overruns were a result of incomplete designs and subsequent revisions. 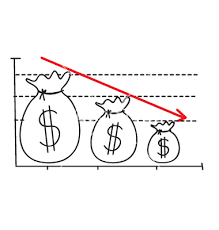 Expenditures rose steadily as the designs were perfected and finalized, and the original GMP was quickly pushed aside. The battle to recover taxpayer funds ensued when outraged County resident Carrie Davis brought suit alleging that the NFL had improperly pressured the City of Cincinnati and Hamilton County into greenlighting the Bengals’ new stadium. In the suit, Plaintiff Davis alleged that “[t]he NFL violated federal anti-trust provisions by using its monopoly to extort new stadiums at highly favorable lease terms from communities. . . .[t]he bottom line is the NFL lied not just to . . . County residents but to numerous communities across the country to make taxpayers fund a private enterprise.” The original lawsuit before the Hamilton County Common Pleas Court named the Bengals and all thirty-one other NFL franchises, accusing them of fraud, civil conspiracy, antitrust violations, and breach of contract. Later in 2004, U.S. District Judge S. Arthur Spiegel determined that the County did have legal standing to bring the case, dismissing the arguments from the NFL. The case was later brought before the District Court in the Southern District of Ohio in 2006 where the court determined that because the league had not concealed material information, the statute of limitations precluded the plaintiff’s claims. This decision was later affirmed by the Sixth Circuit Court of Appeals in 2007. The lawsuit aimed to recover as much as $200 million to offset the taxpayers’ liability, but serious questions about the integrity of the suit led to a decision in favor of the NFL and its clubs. To be sure, the lease that Hamilton County enjoys with the Bengals is highly favorable—perhaps egregiously so—to the Bengals. It may well be that the Hamilton County taxpayers are not enjoying benefits concomitant with their investment in Paul Brown Stadium and in the Bengals’ franchise. It may even be that this lease was the consequence of unlawful anticompetitive behavior by the Bengals and the NFL. Despite these truths—if they be truths—this Board cannot advance stale claims. Whether for good or ill, prior members of the Board negotiated the instant lease with the Bengals fully aware of the possibility that the team and the NFL allegedly wielded unlawful antitrust power to obtain favorable terms under the lease. They simply failed to object or to otherwise advance a claim on behalf of Hamilton County taxpayers until it was lost to the passage of time. It should be abundantly clear that the Court’s dismissal of Plaintiff’s claims is strictly on the question of the statute of limitations and is in no way a decision on the merits of Plaintiff’s substantive causes of action under anti-trust law. At the end of 2010, the Hamilton County Commission voted 2-1 for a deal to mitigate $16 million in projected lsses for the fiscal year 2011 stemming from the Reds and Bengals stadiums, despite both leases exempting the teams from rent payments from 2011-2015. The emergency agreement included provisions for the Bengals to pay $7.4 million in rent for Paul Brown Stadium over the next five years, and for the Reds to pay $2.2 million for Great American Ball Park. Bengals spokesman, Inky Moore, stated that “[t]he Bengals hope that [the rent agreement] will serve the public interest by helping to stabilize the county’s financial picture. . .” Further, the Bengals agreed to contribute $150,000 per year in revenue from the hosting of non-sports events. Moreover, the County agreed to reduce a property tax rollback that was included in the original package to increase commitments for the Cincinnati stadium projects. The original tax reduction failed to generate the necessary revenue to fund the stadiums and only increased the burden on Cincinnati taxpayers. The public funding crisis continued into 2012 as mounting debt from the new facility caused the County to sell off a public hospital in order to balance its failing budget. Dusty Rhodes, the County Auditor, went so far as to describe the budget balancing practices as “basically a fire-sale.” Again in 2014, the County paid out $50 million for debt service attributed to the Bengals and Reds’ stadiums. E. Worst Stadium Deal of All Time? ‘Intangibles’ are hardly enough to defend the massive public spending blunder on publicly financed stadiums. The Bengals and the County were both given blistering reviews of their performance on the stadium development project, but the Bengals felt that they were judged unfairly. While the Cincinnati project has been labeled “the Worst Stadium Deal Ever,” there was a wave of relief for the taxpayers attributed to rapidly decreasing yields from municipal bonds. In 2016, yields for these municipal bonds dropped to their lowest level over return since 1961, and County officials were able to refinance $376 million in municipal bond debt, that will save the County an estimated $87 million through 2032. County Commissioner Monzel blames the effect of the recession and stagnant sales tax revenues for the ballooning costs to the public. Pro-sports subsidies exceeded the $23.6 million that the county cut from health-and-human-services spending in the current two-year budget (and represent a sizable chunk of the $119 million cut from Hamilton County schools). Press materials distributed by the Bengals declare that the team gives back about $1 million annually to Ohio community groups. Sound generous? 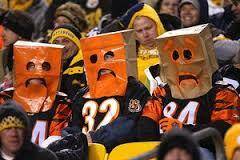 That’s about 4 percent of the public subsidy the Bengals receive annually from Ohio taxpayers. While there are certainly legitimate reasons for ballooning costs and budget overruns, the contractual mechanisms employed in the Lease did little or nothing to protect the interests of the taxpayers, and did a great deal to enrich the Bengals. If taxpayers and County officials in 1996 knew they would be paying down debt for a stadium project through 2030, the voting calculus likely would have been different. Budget overruns are a concern to any major construction project, but for those primarily funded by public entities, the negative effects are only exacerbated when scrutinized in the public eye. Martin J. Greenberg discusses the many challenges of securing financing for sports facilities in a symposium published in the Marquette Sports Law Review entitled Sports Facility Financing and Development Trends in the United States. Obtaining approval for a sports facility financing plan is difficult at best. Every community that has constructed or renovated a sports facility has witnessed the acrimony. Debate rages amongst politicians, team owners, economists, media, and the general public . . . 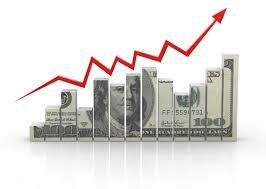 Teams focus most of their efforts on obtaining approval of the financing plan. Because of the large financial obligation necessary to construct a sports facility, it is very difficult to secure financing. The “age-old” model for securing a financing plan for sports facilities has included an investment from the taxpayers. Teams are able to put immense amounts of pressure on municipalities and often secure public financing plans that are extremely favorable to their own interests. This poses a large problem for legislators trying to maintain public support for financing professional sports. For instance, the construction of the $1.3 billion Yankee Stadium, for the fourth most valuable sports franchise in the world,  still demanded a contribution from the taxpayers. While the City’s original projected costs were only 95.5 million, the City of New York was eventually stuck with over $170 million dollars to replace public parklands that were demolished in favor of the new facility. For public entiies that do decide to provide financial assistance for a stadium development, it is important that they are adequately protected from the unvisitable pitfall that is construction cost overrun. The issue of overruns has arisen in the context of construction projects of stadiums and arenas over time. In 2001, the National Sports Law Institute of Marquette University Law School, through its Sports Facility Reports, performed a survey of cost overruns including the amount of cost overruns, the cause, and the payment responsibility. Carolina Hurricanes Entertainment & Sports Arena $130M $26M Design changes requested by team and Centennial Authority, weather conditions (1) $5.2M from Centennial Authority reserve fund; (2) $8M from team; (3) $6M from NC State University. Cincinnati Bengals Paul Brown Stadium $287M (cost escalated to $458M before completion) $51M Changes from original plans, project delays, and additional expenses caused by weather conditions and land acquisition. Poor record keeping is limiting city / county officials from seeking collection of more than $18.5M from the project construction manager. Cleveland Browns Cleveland Browns Stadium $280M $28M Weather, additional construction costs. Browns owner, Alfred Lerner, and city officials agreed to split the cost overruns exceeding $283M with a cap of $293M. Cleveland Cavaliers Gund Arena $152M $76M (combined cost overruns from Gund Arena project) Construction costs. Team agreed to pay $7M in disputed costs. Cleveland Indians Jacobs Field $173M $76M (combined cost overruns from Gund Arena project) Construction costs. NBA Cavs have agreed to pay $7M in disputed costs. Houston Texans Reliant Stadium $310M $57M Taxpayers, through the Harris County-Houston Sports Authority, are responsible for cost overruns. Seattle Mariners Safeco Field $417M $100M Accelerated construction schedule, architectural flaws, and construction overruns. Mariners have paid for all overruns. 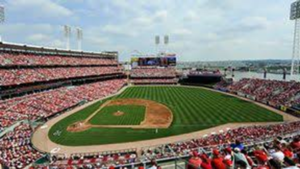 Provisions The budget for the Great American Ball Park was capped at $280 million, payable by Hamilton County. Any cost over the $280 million was covered by the Cincinnati Reds. In addition, the Great American Ballpark was built after the Paul Brown Stadium; therefore, the County had learnt from that example and placed the $280 million cap. 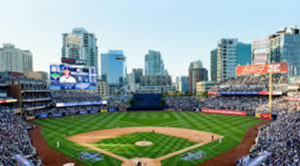 The Padres and Padres Construction, L.P. were be solely responsible for any and all design and construction costs for the Ballpark exceeding the Ballpark Estimate and amounts necessary to satisfy such excess are deposited into and paid from the Design and Construction Fund. The Construction Administration Agreement provides that any excess of the total Project Cost over the initial Project Budget are borne by the District of Columbia Sports and Entertainment Commission, except changes that were requested by the team after the specifications have been approved. 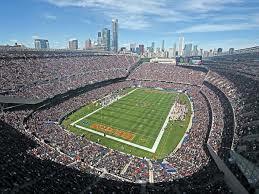 The renovation of Soldier Field in Chicago, Illinois, was pushed through by City officials in order to modernize the historic football stadium. Soldier Field opened in 1924, and renovations changed the original ‘Colosseum-like’ structure to now resemble a futuristic, yet ‘broken flying saucer.’ Though the new design brought the venue up to NFL standards by adding triple the concession stands and double the restrooms of the old facility, stadium capacity was reduced more than 5,000 seats. The development was estimated to cost $606 million, but with the final bill coming in closer to $655 million, the project collected a cost overrun of $49 million dollars. Chicago Bears President Ted Phillips said that “the overruns included $18 million for asbestos removal and higher than expected costs for ‘sounder’ parking garages, Bears history-related displays and a retail store.” The stadium renovation obligated the Bears to pay for any budget overruns, protecting the public investment and assuring that no more public money was allocated. In financing the stadium development, Illinois Sports Facilities Authority contributed $406 million through taxpayer backed bonds, and the Bears and the NFL contributed an additional $200+ million. However, years after the completion of the project, an analysis by the Chicago Tribune revealed that the total cost was closer to $690 million, with the public’s contribution of $432 million, rather than the intended $406 million. ARTICLE 3 – AUTHORITY’S RESPONSIBILITIES (3.9) “The Authority and Indemnitees are relying on the Construction Manager’s GMP, which contains a Construction Manager Contingency as provided in Exhibit 3 to the Construction Services Agreement, to pay for all Costs of the Work and Claims for additional payment (other than for approved Contract Revisions) above the GMP. The Act permits the Authority to enter into this Construction Services Agreement only on the express condition that the Construction Manager is responsible for cost overruns above the GMP; as a result, the Construction Manager shall be responsible to pay all Costs of the Work and other costs or expenses that exceed the GMP. The Authority and Indemnitees (except the Architect Indemnitees with respect to design errors or omissions or breaches of the Design Services Agreement) are not, and shall in no event be, responsible or liable to any member of the Project Team including the Construction Manager for any aspect of the Design Services, including inspections, quality control or design administration services that will be provided by the Architect under its Design Services Agreement, other than as provided in Paragraph 4.3 herein. Likewise, the Authority and the Indemnitees (except the Architect Indemnitees with respect to design errors or omissions or breaches of the Design Services Agreement) are not and shall in no event be, responsible or liable to the Construction Manager or other Project Team members for any Claims for payment of additional money or costs above the GMP arising out of or related to any aspect of the Construction Manager’s performance of the Work, except with respect to the Authority’s obligations under Paragraph 3.4 of Exhibit 6 hereto. In no event shall the Authority or Indemnitees have any responsibility or liability for construction means, methods, techniques, sequences, or procedures, or for safety precautions and programs in connection with the Work, notwithstanding any of the rights and authority granted the Authority and Indemnitees in the Contract Documents. The new home of the Minnesota Vikings (Vikings), U.S. Bank Stadium, opened in July of 2016 in the Downtown East section of Minneapolis. The new facility had an approximate construction cost of $1.027 billion, and more than half of the stadium cost will be paid using private funds. The public’s portion–approximately 46% percent or $498 million–will be funded through tax revenues from pulltabs and other charitable gambling, as well as increased sales taxes in the City of Minneapolis. State of Minnesota – $348 Million: The State issued appropriation bonds valued at $462 million and the remaining of the $498 million public contribution will be paid for by State funds. The Construction Services Agreement signed February 15, 2013 between the Minnesota Sports Facility Authority (“MSFA”) and Mortenson Construction (the “Construction Manager”) was drafted to ensure that MFSA would not be obligated to pay for any cost overruns associated with the completion of the Stadium Project. Article 5 of the Constructions Services Agreement defines Mortenson’s obligation to prepare a report that includes a Guaranteed Maximum Price (“GMP”). The GMP figure was critical to the preparation of the stadium plans, as Mortenson would be responsible for any costs above the GMP. However, the GMP was not finalized at the time the Agreement was signed, leaving a large financial vulnerability for all parties involved. This is an example of where so-called “agreements to agree” can be very dangerous when public tax dollars are involved. Section 8.8 Cost Overruns: The Stadium Developer shall be responsible for payment of any Cost Overrun, which payment shall be made at such time as any portion thereof is legally required to be paid with respect to the Project; provided, however, that if the Stadium Developer is the Authority, the contract or contracts entered into by the Authority under Article 6 hereof shall provide that any Cost Overruns are the responsibility of the Construction Manager, trade contractor or vendor, and not of the Authority or the State; and provided, further, in no event shall the State or the Authority be liable to contribute in excess of Four Hundred Ninety-Eight Million Dollars ($498.0 million) for Project Costs. The Authority shall not accept responsibility for Cost Overrun and shall not be responsible for Cost Overruns if the Authority has authorized the Team to become the Stadium Developer under Section 6.1, in which case the Team shall be responsible for Cost Overruns. (Development Agreement – Section 6.1) Section 6.1 Stadium Developer. (a) Role of Stadium Developer. Except as set forth in Section 6.1(b) below, the Authority shall serve as the Stadium Developer. The Stadium Developer will be responsible for, among other things, the stewardship of the Project Funds and the public interest therein, observing public bidding methods where required or practicable, coordinating regulatory approvals with applicable Governmental Authorities, providing the highest degree of transparency regarding all contractual and funding arrangements, complying with government data practices requirements, implementing and enforcing the Construction Services Agreement Equity Plan (as defined in the Construction Services Agreement), ensuring the Construction Manager’s execution of an appropriate Project Labor Agreement, and cooperating with audit and oversight procedures of the Legislative Auditor and the Legislative Commission on Minnesota Sports Facilities. (b) Team Assumption of Stadium Developer Duties. Prior to the Certification of GMP by the Construction Manager, the Team may request to become the Stadium Developer as provided in Section 473J.11, subd. 1(f) of the Act. To become the Stadium Developer, the Team must agree to assume the roles and responsibilities of the Authority as the Stadium Developer for completion of construction in a manner consistent with the Effective Date Minimum Design Standards and, after Certification of GMP, the Final Minimum Design Standards and agreed upon Contract Documents, and any other applicable construction-related roles and responsibilities of the Authority as the Stadium Developer under the Act, including, without limitation, responsibility for Cost Overruns. Authorities and Indemnitees are relying on the Construction Manager’s GMP, which contains a Construction Manager Contingency as provided in Exhibit 3 to the Construction Services Agreement, to pay for all Costs of the Work and Claims for additional payment (other than for approved Contract Revisions) above the GMP. The Act permits the Authority to enter into this Construction Services Agreement only on the express condition that the Construction Manager is responsible for cost overruns above the GMP; as a result the Construction Manager shall be responsible to pay all Costs of the Work and other costs or expenses that exceed the GMP. The Authority and Indemnitees (except the Architect Indemnitees with respect to design errors or omissions or breaches of the Design Services Agreement) are not, and shall in no event be, responsible or liable to any member of the Project Team including the Construction Manager for any aspect of the Design Services, including inspections, quality control or design administration services that will be provided by the Architect under its Design Services Agreement, other than as provided in Paragraph 4.3 herein. Likewise, the Authority and the Indemnitees (except the Architect Indemnitees with respect to design error or omissions or breaches of the Design Services Agreement) are not and shall in no event be, responsible or liable to the Construction Manager or other Project Team members for any Claims for payment of additional money or costs above the GMP arising out of or related to any aspect of the Construction Manager’s performance of the work, except with respect to the Authority’s obligations under Paragraph 3.4 of Exhibit 6 here to. 1.1 As part of its Pre-Construction Phase Services described in Exhibit 1 hereto, the Construction Manager will be asked to prepare a Construction Management Plan including a GMP Proposal for the Work and a Construction Schedule based on the GMP Pricing Documents. If the Construction Management Plan is acceptable to the Authority and Team, which decision shall be in their sole discretion, then the Construction Manager’s Construction Management Plan shall be added to this Construction Services Agreement as a Contract Revision in the form of a completed Exhibit 3 hereto. The Authority may require that the GMP be separated into two or more separate sums and be tracked separately throughout the course of the Work. 1.4 By virtue of providing the GMP, the Construction Manager shall, as required by the Act, accept the risk of cost overruns in excess of the GMP, as modified in accordance with and allowed by the Contract Documents, and such cost overruns shall not be the responsibility of the Authority, State, or Team. Construction Manager agrees and acknowledges that the Act requires the Authority to bid project construction in a manner that any cost overruns that exceed the GMP are the responsibility of the successful bidder and not the Authority or the State. Accordingly, Construction Manager agrees and acknowledges that as the successful bidder, Construction Manager is solely responsible for any cost overruns that may occur on the Project in excess of the GMP as modified in accordance with and as allowed by the Contract Documents, however caused, as the Authority has no authority to accept liability for cost overruns in contravention of the Act. Therefore, notwithstanding anything to the contrary in this Construction Services Agreement except as provided in Paragraph 4.3 hereof and Subparagraph 10.3.1 of Exhibit 6 hereto, to the fullest extent permitted by Applicable Law, Construction Manager hereby waives any and all Claims against Authority and any of the Indemnitees (except the Architect Indemnitees) arising from or relating to (1) the Architect’s negligent acts, errors or omissions; (2) any implied or express warranty as to the completeness, constructability, accuracy, suitability, or timeliness of the completion of any Drawings, Specifications, or other Contract Documents; and (3) any other Claim the result of which would be to impose liability upon the Authority for a cost overrun in violation of the Act . . . The construction of US Bank Stadium offers a prime example of how taxpayers become obligated to pay the unforeseeable costs associated with major construction projects. Estimating the actual costs and potential project delays for a major stadium project is a nearly impossible feat. Authority Chair of the MSFA Michele Kelm-Helgen expressed her frustrations saying, “[i]t’s a very complicated, multi-partner agreement that has current and future costs that had to be estimated.” The $1.1 billion dollar venture amassed a final budget overrun cost of $16.25 million after multiple instances of change orders and unintended setbacks. In February of 2016, a leak in the new facility cost Mortenson between $3 and $4 million dollars to repair. Another instance saw a pedestrian service bridge originally estimated at a cost of $9.6 million increase to $10.6 million associated with cost adjustments and change orders. 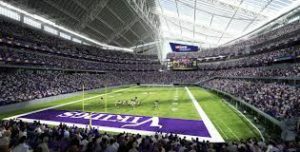 In resolving the cost overruns for US Bank Stadium, MFSA reached a settlement agreement that moved $16.5 million dollars from the project contingency fund to cover the budget overrun. The Vikings agreed to contribute another $5.5 million to compensate for their role in pushing upgrades to the facility plan. It was imperative to MFSA and its constituents that the original agreement was honored so that no additional taxpayer money was allocated. Mortenson did not eventually bear the burden of the cost overrun, and MFSA was able to settle the dispute by utilizing the $30 million dollar contingency fund. While this did protect the public investment, the result proved disappointing as Mortenson had set the original GMP in order to avoid the MFSA having to access reserve fund. Interested parties must ensure their understanding of contractual provisions that provide for financial obligations before they pledge a commitment to a major stadium project. B. Mercedes-Benz Stadium: Atlanta Falcons/Atlanta United F.C. Cost overruns have proven to be a problem for taxpayer funded stadiums, but the same holds true for privately funded stadiums as well. Mercedes-Benz Stadium in Atlanta, Georgia, marks the continuation of a trend where a greater infusion of private capital is being thrust into the stadium equation. Owners are contributing a larger portion toward stadium development costs and the NFL is helping those owners through the G4 Loan program, and fans are helping to fund their new stadium by purchasing personal seat licenses. In the construction of their projected $1 billion-dollar facility, the Atlanta Falcons (through the Atlanta Falcons Stadium Company, LLC—a wholly-owned subsidiary of the Falcons) will bear the burden of any cost overruns. 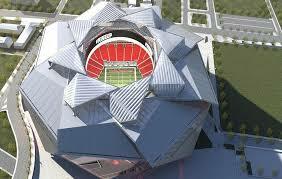 The Project Development and Funding Agreement (the “Agreement”) was signed between the Georgia World Congress Center Authority (“GWCCA”), the Atlanta Falcons Stadium Company (“StadCo”), and the Atlanta Falcons Football Club, and included provisions to shield taxpayers from construction cost overruns. Section 7.8 of the Agreement sets forth the responsibility of StadCo to pay for any construction cost overruns associated with the New Stadium Project (“NSP”). (a) If any NSP Costs are incurred after the funds in the GWCCA NSP Cost Account are completely depleted (the “NSP Cost Overruns”), StadCo will be solely responsible for and will promptly pay or contribute to the StadCo NSP Cost Account (unless deposited directly into the Disbursement Account as provided in Section 7.4 above) as necessary cash in an amount equal to such NSP Cost Overruns. However, any amounts thereafter deposited into the Seat Rights Sales Account will be immediately disbursed to StadCo as reimbursement for its funding (if and to the extent so funded by StadCo) of any portion of the Public Contribution. (b) The GWCCA will have the right to review and comment on and will have final approval rights with respect to any NSP Cost Overruns that exceed StadCo’s demonstrated financing capacity. The Agreement protects the taxpayers from footing any construction cost overruns associated with the construction of the ‘most complex roof ever built,’ or any other parts of the project. 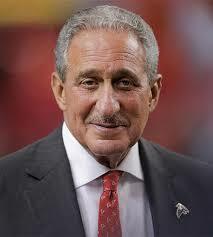 In order to honor the promises of outspoken owner Arthur Blank that the stadium would be ready for the 2017 NFL season, the Falcons have accelerated the construction timeline causing a potential $400 million in cost overruns. Tim Tucker of the Atlanta Journal-Constitution stated that delays stemmed from two signature features, “[a]n eight-piece retractable roof . . . and a 58-foot-high oval video board incorporated into the roof opening.” Blank confirmed that “challenges in completing the design of the steel structure for the roof and video board . 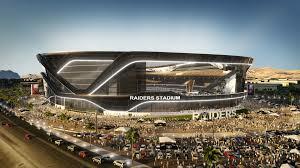 . . are the primary factors in revising the [June 1, 2017] target date for completion [of the stadium]. . .
As of June 2016, Blank remained committed to meeting the July of 2017 opening date, which required further acceleration of the construction timeline by ‘compressing’ the schedule, which would result in ‘double-time, triple-time work.’ The stadium was originally scheduled to open on March 1, 2017, but after extensive delays and change orders the date was extended to June 1. The opening was later delayed again to July 30, 2017, in order to host Major League Soccer (“MLS”) club Atlanta United’s first game in Mercedes-Benz Stadium. In April of 2017, the stadium was delayed again, unable to meet the original commitment. 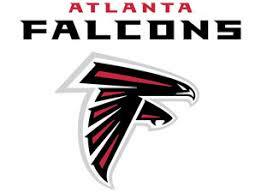 Steve Cannon, CEO of AMB Group (the parent company of the Atlanta Falcons) announced that the opening of the stadium would be further delayed until August 26, 2017, in order to accommodate the Falcons pre-season football schedule. The latest round of delays was caused by complicated steel work on the roof that was taking ‘longer than anticipated.’ This scheduling snafu led Atlanta United’s MLS’s match to be relocated to Georgia Tech’s Bobby Dodd Stadium on July 29th, 2017, and two other United matches to be rescheduled. Atlanta United President Darren Eales expressed his understanding of fans’ disappointment, but remained positive that the new stadium would ‘delight’ the Atlanta United fan base. Though Blank and the Falcons are funding the billion-plus dollar endeavor, cost overruns are an ever-present obstacle to the timely and budget-friendly completion of sports venues. As of June of 2016, the Falcons had already ordered over $200 million in changes, which will likely bring the final expenditure of the stadium closer to $2 billion rather than the original estimate of $1 billion. Over a year later in July of 2017, costs have risen to $1.6 billion on the unfinished stadium, yet Falcons General Manager Scott Jenkins reassured the public that the project would be completed by August 26, 2017. Again, it is evident that deadlines have an overbearing impact on construction projects and are a significant contributor to cost overruns. Included in the Arena Finance, Funding and Construction Funds Escrow Agreement (the “Finance Agreement”) was a provision that any cost overruns during the construction of the new facility would the responsibility of the Bucks, not the taxpayers. Bearing the cost of construction overruns would pose a significant possibility that Wisconsin taxpayers would foot the bill for any structural shortfalls, delays to scheduled construction, and other unforeseen circumstances during the process–on top of the original $250 million dollar investment. Even though the public’s contribution is capped at $250 million, given the interest factor, the long-term cost of the arena financing from the City, State, County and District could rise to $400 million in taxpayer dollars over the next 20 years. Allocation of Project Costs. The total Project Costs to complete the Arena and the Parking Facilitates are currently estimated at $524,000,000. Subject to the terms of this agreement, the City Disbursement Agreement, the Contribution Agreement and the Pledge Agreement: (a) the District shall pay for $203,000,000 of Project Costs for the Work (the “District Commitment”); (b) the City shall pay for (i) $35,000,000 of Project Costs for the Parking Facilities Work, and (ii) $12,000,000 of Project Costs for the Work related to the Public Plaza (collectively, the “City Commitment”); provided, however, if actual final Project Costs for the Parking Facilities Work of the Work related to the Public Plaza are less than these amounts, the remainder may be used as provided in the City Development Agreement; (c) the District shall use the Kohl Commitment received by the District pursuant to the Contribution Agreement and as a result of the Pledge Agreement to pay for $100,000,000 (net of any GMF Reimbursed Amount paid by the District and without taking into account any default interest paid with respect to the Kohl Commitment as set forth in Section 7.2.3) of Permitted Arena Costs; and (d) ArenaCo shall pay or cause to be paid for all Project Costs that exceed the District Commitment, the City Commitment and the Kohl Commitment (the “ArenaCo Commitment”). The ArenaCo Commitment is currently estimated to be at least $174,000,000. For the avoidance of doubt, the aggregate ofthe District Commitment, the City Commitment, and the Kohl Commitment (net of any GMF Reimbursed Amount paid by the District and without taking into account any default interest paid with respect to the Kohl Commitment as set forth in (Section 7.2.3) is the maximum amount of funds required to be contributed by the District (on its own behalf), the City and the District (solely as in its capacity of coordinating the disbursement of the Kohl Commitment hereunder), respectively, for Project Costs, without regard to whether total Project Costs exceed the estimate, but subject to Section 11.3 of the Development Agreement. The Overrun Clause, however, is subject to Section 11.3 of the Arena Development Agreement signed between Wisconsin Center District and Deer District LLC, the contents of which are included below. Section 11.3 designates the obligations that arise from modifications to the construction work. The City and District will be shielded from any cost overruns, except for such overruns that are a result of a Construction Work Modification request directly by the District. 11.3.1 If ArenaCo desires to implement a Construction Work Modification, it shall submit written notice thereof to the District, together with such information as is reasonably necessary for the District to understand and determine whether such Construction Work Modification complies in all material respects with the Quality Standard and the Preliminary Program. Any such submission by ArenaCo shall be treated as a Plan Submittal and, except as expressly provided to the contrary in this Section 11.3.1 with respect to timing of the District’s review and right to object, the Parties shall act with respect to any such submission as described in Section 2.5. If the District reasonably believes that the Construction Work Modification does not comply in all material respects with either the Quality Standard or the Preliminary Program, it may provide written objection thereto to ArenaCo within ten (10) Business Days after its receipt of such submission from ArenaCo. If the District fails to so object to such submission within such ten (10) Business Day period, ArenaCo may implement such Construction Work Modification. If the District so objects within such ten (10) Business Day period, ArenaCo shall not implement the Construction Work Modification until the Parties agree that the Construction Work Modification complies in all material respects with the Quality Standard and the Preliminary Program, which agreement the District shall not unreasonably withhold, condition or delay. Notwithstanding the foregoing, ArenaCo may implement field change directives without prior written notice to the District on the conditions that (i) ArenaCo provides written notice thereof to a District Designated Representative as soon as reasonably practicable, and (ii) the field change directive complies in all material respects with the Quality Standard and the Preliminary Program. 11.3.2 If ArenaCo estimates the Project Costs attributable to any Construction Work Modification desired by ArenaCo, including any and all associated architectural, engineering, and contractors’ and subcontractors’ fees, are more than $5,000,000 in excess of the total Project Costs as set forth in the Approved Budget (including any amounts for contingency included in the Approved Budget), ArenaCo shall not implement such Construction Work Modification unless, until it has demonstrated to the District, to the District’s reasonable satisfaction, that it has the funds necessary to implement such Construction Work Modification or deposited an amount equal to its estimate of such excess Project Costs either (i) in the ArenaCo Account (as defined m the Finance Agreement) or (ii) in an account established with any holder of any Leasehold Mortgage or any pledgee of ArenaCo’s equity, which deposited amount shall, in either case be funded to pay for the cost of such Construction Work Modification on a progress basis. 11.3.3 If the District desires to implement a Construction Work Modification, it shall submit written notice thereof to ArenaCo, together with such information as is reasonably necessary for ArenaCo to understand such Construction Work Modification, and ArenaCo shall promptly consider such request and discuss it with the District in good faith. After such consideration and discussion, and in any event within fifteen (15) days after ArenaCo’s receipt of such written request from the District, ArenaCo must respond to any such request in writing (a “Response to Request for Modification’’). If, at its discretion, ArenaCo is willing to implement any such District requested Construction Work Modification such Response to Request for Modification shall include a written estimate of any additional Project Costs attributable to the District’s requested Construction Work Modification, including any and all associated architectural, engineering, and contractors’ and subcontractors’ fees. The District shall have fifteen (15) days after its receipt of any such Response to Request for Modification to agree, in writing, to fund such additional Project Costs and to authorize ArenaCo to implement such Construction Work Modification at the District’s expense, in which event, within fifteen (15) days after the District’s delivery of such written agreement and authorization to ArenaCo, the District shall deposit an amount equal to ArenaCo’s estimate of such additional Project Costs into the District Account (as defined in the Finance Agreement). For the avoidance of doubt, in no event shall ArenaCo’s implementation of a Construction Work Modification pursuant to this Section 11.3.3 be the basis for the District claiming that the Construction Work is not in compliance with the Quality Standard. 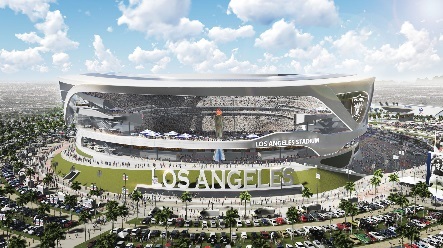 The recent relocation of the San Diego Chargers and St. Louis Rams to Los Angeles has led to the construction of the Los Angeles Stadium and Entertainment District at Hollywood Park (“LASED”). Scheduled to open in 2020, the Inglewood stadium project is one of the most ambitious and expensive NFL facilities ever constructed. 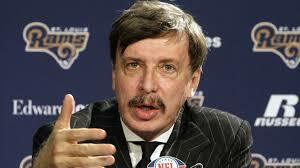 Rams Owner Stan Kroenke will privately finance the estimated $3 billion stadium project, which marks only the second NFL stadium in the past 20 years to be sourced privately. In contrast to the situation for LA taxpayers, the City of St. Louis would have needed to subsidize $447 million in stadium costs to keep the Rams in Missouri. Challenges with groundbreaking technology can present significant scheduling difficulties as evidenced by the retracting roof project in Atlanta. LA Stadium plans to feature the “world’s largest sporting event digital display” with more than 60,000 feet of linear screen suspended from the top of the arena. The roof is made of a transparent ethylene tetrafluoroethylene material that will cover the entire seating bowl, playing field, ‘Champions Plaza’, and a performing arts venue. These significant features are on top of the 70,000 seats and more than 1.5 million square feet of office and retail space. 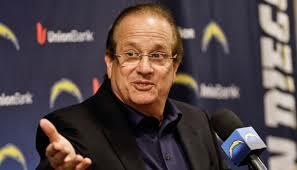 The arena finance and development agreement has not been made available to the public, leaving analysts guessing as to who will bear the burden of seemingly inevitable construction cost overruns, Spanos and Kroenke will likely negotiate any discrepancies in the development agreement privately, but the fact that taxpayers are off the hook for construction cost overruns remains vital to the success of the stadium project. The Las Vegas Raiders will officially break ground on their new facility in Paradise, Nevada on November 13th, 2017, without any guarantee of what the final cost might be. 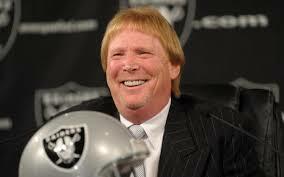 A failed attempt to move the Raiders from Oakland to Los Angeles eventually led to a commitment from the NFL and Clark County to relocate the team to Las Vegas. The stadium project is estimated to cost $1.9 billion, but this number cannot be guaranteed due to unfinished design plans and a questionable loan agreement. After losing a $650 million commitment from the wealthy CEO of Las Vegas Sands Corporation, Sheldon Adelson, the Raiders were quick to make a deal with Bank of America to cover the deficiency. Unfortunately, the Stadium Authority has not received an indication from the bank of whether the loan will cover the entire amount. Stadium parking may cause significant delays and cost overruns, as the initial plans have placed 85% of the parking spaces in undesignated off-site locations. The stadium will sit on a 62-acre plot at the southwest corner of the Las Vegas Strip, and will only add to downtown congestion without a sufficient transit plan to accommodate the facility’s 65,000+ seats. As of June of 2017, Clark County received results from its first transit study, but had not produced estimates as to the price and schedule of the suggested improvements. A pedestrian bridge, wider sidewalks, additional streetlights, any other infrastructure upgrades can be requested in the development agreement, but the absence of an agreement could add a significant headache for schedule and budget makers down the road. Clark County Commission Chairman Steve Sisolak remarked that “[t]he Raiders are going to have to do a lot of negotiating with nearby landowners” in order to remedy spacing issues. Moreover, the estimated budget includes a $100 million allocation for the construction of a practice facility and team headquarters, but no site has been identified and construction plans are incomplete. The Las Vegas Stadium Authority maintains that the public investment in the project will be capped at $750 million, and that any construction cost overruns will be sole responsibility of the project developer. 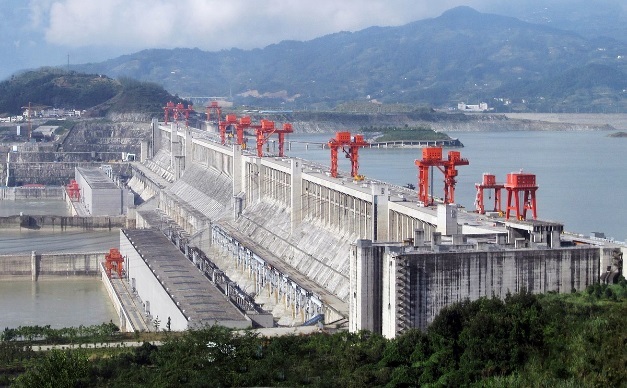 However, the Authority will be responsible for any cost overruns that are directly related to a change mandated by the Authority after the execution of the development agreement. This is the case of the ‘fast-track’ vulnerability as described by LePatner in Section 1. When stadium ventures break ground with unfinished design plans, the project will be subject to cost overruns via ‘fast-tracking’ and change orders. 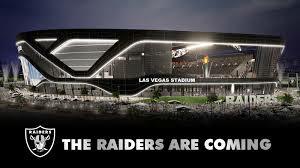 Only time will tell if the Raiders are able to complete the project on schedule and on budget. 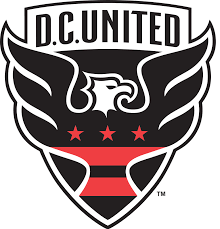 In late 2014, The Council of The District of Columbia approved the development of a new stadium for Washington-based Major League Soccer club, D.C. United (the “Team”). On December 30th 2014, the D.C. Council (the “Council”) enacted the “Soccer Stadium Development Amendment Act” (the “Act”) for the development of a 20,000 seat, state-of-the-art, soccer-specific stadium facility for D.C. United. 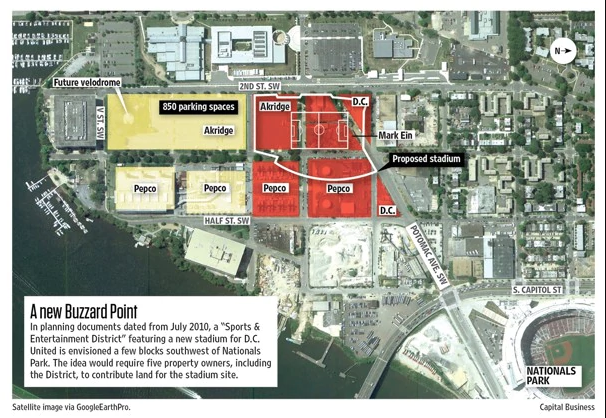 The Council found that RFK Stadium was “no longer suitable” and that the new facility would be located at Buzzard Point, “[a]n underutilized industrial area that ha[d] long been targeted for redevelopment,” only a few miles from the US Capitol. The Downtown Buzzard Point location is due southwest of Nationals Park, home to the Washington Nationals of the MLB, and adjacent to the Anacostia River. The Act dictates that the Mayor use his power of eminent domain to acquire the tracts of land for no more than $88.9 million, but indicates that (1) a court decision, or (2) a District appraisal could cause the value of the property (and thereby the payment by the District) to exceed the designated ceiling. The location was largely comprised of abandoned industrial land—a decrepit District and Potomac Electric Power Company (“PEPCO”) was the most significant taking under the agreement. The project was to be financed through a public-private partnership. Section 106 of the Act specified that the District’s contribution to the project would be the preparation of the stadium site, and would not exceed a maximum price of $150 million. The Act dictates that the Mayor use his power of eminent domain to acquire the tracts of land for no more than $88.9 million, but indicates that (1) a court decision, or (2) a District appraisal could cause the value of the property (and thereby the payment by the District) to exceed the designated ceiling. The remainder of the District contribution would be used to improve utilities, remove toxins and hazardous wastes, and clear the land for construction. Washington D.C. Mayor Muriel E. Bowser said the deal will “[pave] the way to more jobs and economic opportunity for D.C. residents and future businesses along the Anacostia River.” MLS Commissioner Don Garber called the project “a great cathedral for our sport” and insisted that the stadium would increase Washington D.C.’s international appeal. The stadium facility itself would be built primarily with private money, financed through two construction loans secured by the Team in the summer of 2017. $95 million of the $120 million required to construct the facility would be provided by Goldman Sachs, and the remaining $25 million would come through a private clean energy financing fund brokered by Department of Energy and Environment’s Property Assessed Clean Energy (“PACE”) program. The stadium officially broke ground on February 27th, 2017, with completion scheduled for summer of 2018, but the process was riddled with issues. During the design approval process in 2016, complaints that a “lack of visible retail” and a generally “uninviting design” caused alterations to the design. After the Team put up a $5 million contingency fund to cover the City in the chance that the stadium was not built, D.C. United and the District agreed to split any cost overruns associated with delays and design changes up to $20 million. The Stadium may not be ready for the first game of the 2018 MLS season, and has forced the Team to seek an alternate location for their home opener. While the Washington Post reports that the Team could play up to 12 games in an alternate location, more recent statements from the Team maintain that the facility will be ready for the opening of the 2018 season. In 2014, the Minor League affiliate of the Minnesota Twins, the New Britain Rock Cats, announced that the team was moving to Hartford, Connecticut. 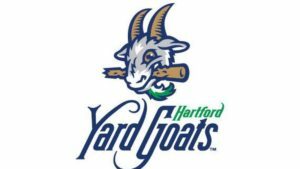 The team would later become the Hartford Yard Goats (“Yard Goats”), the AA affiliate of the Colorado Rockies, and would break ground on their new stadium facility, Dunkin Donuts Park, in 2015. The new stadium facility would be financed with public money, and was originally expected to cost $56 million as part of a larger $350 million project to develop downtown Hartford. The Hartford Stadium Authority was created as the entity to hold ownership of the new park, and to secure financing for construction. The Yard Goats have recently become the center of an FBI investigation into the disastrous construction of their new facility. The City of Hartford (the “City”), is at odds with the original developer of the ballpark, Centerplan Construction Company (“Centerplan”), for non-payment of sub-contractors, cost overruns, project delays, and disputed designs. The aforementioned have reportedly led to misappropriations of taxpayer-money during construction of the stadium that rose from $56 to $71 million-dollars. The City terminated the contract with Centerplan in June of 2016, after multiple missed deadlines led to a deterioration of Hartford’s confidence in the relationship. Centerplan CEO Robert Landino maintains that his company was wrongfully terminated, but the FBI investigation is pending and has yet to shed light on the situation. Hartford Mayor Luke Bronin stated that he believed the investigation was “[p]rompted by information proactively shared by the City of Hartford,” but has not been given any further information concerning its progress. As of late October of 2017, Landino stated that he and Centerplan were not under investigation, and citizens can only wait until more information is released to make a final judgment. 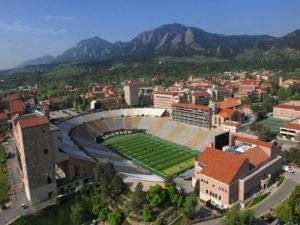 Cost overruns also have proven difficult to grapple with in college athletics—renovations to the athletic facilities at the University of Colorado-Boulder provide a prime example. In December of 2013, the University of Colorado Board of Regents announced plans to renovate large portions of campus athletic facilities. The announced proposal would be funded by the athletic department and other non-state, “auxiliary” funds. The plan included $142 million for the expansion of Folsom Stadium, additional indoor and outdoor practice facilities, and an overhaul of the Dal Ward Athletic Center. In announcing the plans, Athletic Director Rick George expressed hopes that the project would be completed by fall of 2015. By August of the following year, $13 million was added to the cost of the development project, bringing the total estimated cost to $156 million. Campus spokesman Bronson Hilliard explained that the scope of the work had not changed but that the project “had become more expensive,” citing rising costs and poor soil conditions. August of 2015 saw another $4 million increase to the project budget, bringing the cost figure up to $160 million, 12% larger than 2013’s initial budget. Finally in 2016, the Board of Regents approved an additional $6.3 million to complete the renovations to Folsom Stadium. Over its four-year scope and several requests for money, the athletic facilities project accrued more than $24 million in cost overruns. In remarks concerning the project’s busted budget, CU Boulder chief financial officer Kelly Fox stated that the University “really probably should’ve taken a step back” and sought assistance in managing the project. Fox also described that the “fast-tracked” nature of the project was a significant detriment to fiscal responsibility. In addressing the Board of Regents, Fox promised that the University would spend “[m]ore time on the front end defining our capital projects in the future” and that more money would be allocated to understand scope and design requirements. The athletic facility renovation was officially completed in mid-2016. The construction of high school football stadiums in Texas has become a development arms race. The McKinney Independent School District (ISD) stadium project in McKinney, Texas may become the most expensive nonacademic public school facility ever constructed after all is said and done. However, other major developments and construction cost overruns could position more than one Texas high school football stadium to claim the title as the most expensive high school stadium in history. Herr’s prediction was an accurate one—the 2014 announcement of a project in the Houston suburb of Katy, Texas only intensified the stadium development race. 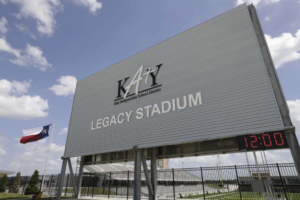 Katy District Officials announced a plan to construct a $58 million, 12,000 seat stadium to host its multiple high schools, but by October o 2016, Katy City Officials revealed that the budget had ballooned to nearly $70 million. Officials insisted that cost overruns were a natural part of construction, and that the project was still justified. Marc Wortman of CityLab.com describes high school football as a sort of “civic religion” in Texas, and its disciples have set a high bar for the facilities deemed appropriate for high school football. Citizens of McKinney, Texas felt as if their football stadium made them “the poor boys on the block.” McKinney, a district directly adjacent to Allen, announced plans for a $63 million, 12,000 seat football stadium to bring the district into the modern era. The McKinney project is part of a larger, $220 million bond package to renovate district facilities. The state-of-the-art stadium facility will include an artificial playing surface, and feature a 55-foot-wide, high-definition video screen. Only three months after the McKinney project was announced, stadium planners increased the initial budget by more than $6 million, bringing the total cost close to $70 million. District officials claimed that rising prices of concrete and inflated labor costs were at the center of the cost overrun. In defending the massive public expenditures for high school football, local officials frequently cite the prospect for development of restaurants and retail shops around through the municipality. Certain opposition groups remain skeptical that taxpayer dollars directed toward stadium projects will have any positive economic impact for local communities. Greg Tepper (“Tepper”), the managing editor of the popular multimedia publication Dave Campbell’s Texas Football, argues that the will of the community is realized through the overwhelming passing of stadium resolutions. Tepper summarizes the situation perfectly: “There is obviously at least a little bit of ‘keeping up with the Joneses’ going on, but I believe that these stadiums speak to how seriously Texans take high school football. Is it over the top? Sure. But high school football is over the top in Texas—just the way Texans like it.” With a build-first, spend-big mentality, it is likely that stadiums will be subjected to large volumes of charge orders and tight construction schedules. If taxpayers are willing to foot the bill without significant hesitation, it is unlikely that stadiums will get any less expensive or fiscally responsible in the future without significant changes to project strategy and oversight. Daniel S. MacMillan is currently a third-year student at Marquette University Law School and is pursuing a Certificate in Sports Law in addition to his Juris Doctor. MacMillan serves as the Article and Survey Editor for the Marquette Sports Law Review (Volume 28), as the President (Justice) of the LaFollette Chapter of Phi Alpha Delta, and is a member of the Sports Law Society. Prior to his time at Marquette, Daniel earned his bachelor of arts in Political Science from the University of Kansas, with minors in Public Policy and Economics. Yehiel Rosenfield, Root-Cause Analysis of Construction-Cost Overruns, American Society of Civil Engineers (Sept. 12, 2013), http://ascelibrary.org/doi/abs/10.1061/(ASCE)CO.1943-7862.0000789#sthash.2dtJyAow.dpuf. 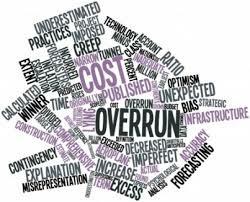 Cost Overrun, Business Dictionary, http://www.businessdictionary.com/definition/cost-overrun.html (last visited Oct. 21, 2017). IMIA Working Group, Cost Overrun in Construction Projects, page 4 (49th Annual IMIA Conference – Qatar, Sept. 2016), https://www.imia.com/wp-content/uploads/2016/09/IMIA-WG96-cost-overrun-paper-final-version-b1.pdf. Moiz Noorani, 6 Evident Reasons for Budget Overruns, Project-Management (Feb. 4, 2016), https://project-management.com/6-evident-reasons-for-budget-overruns/. Nadzirah Binti Roslan, Mitigation Measures for Controlling Time and Cost Overrun Factors, page 15 (University Tun Hussein Onn Malaysia, Sept. 2015), http://eprints.uthm.edu.my/7984/1/NADZIRAH_BINTI_ROSLAN.pdf. 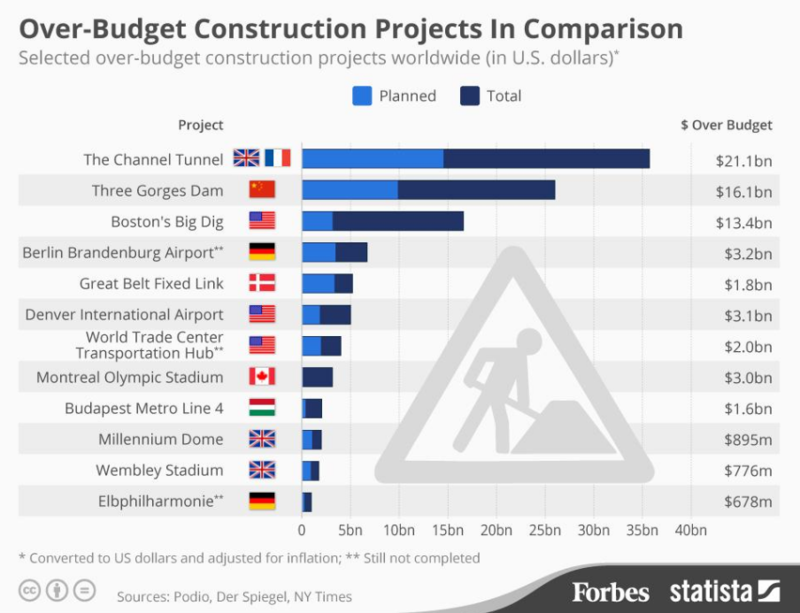 Niall McCarthy, Major International Construction Projects That Went Billions Over-Budget [Infographic], Forbes (Dec. 10, 2014), https://www.forbes.com/sites/niallmccarthy/2014/12/10/major-international-construction-projects-that-went-billions-over-budget-infographic/#ada6b6b376a6. Catie Edmondson, Highway Project Delays Rack Up $700 million Cost Overruns, Journal Sentinel Online (June 13, 2016), http://archive.jsonline.com/news/statepolitics/road-project-delays-carry-higher-costs-b99742031z1-382708551.html/. See A. Ramkumar, & Prof. S. Gopalakrishnan, Root-Cause Analysis of Construction-Cost Overruns, IJIRSET (Feb. 2014), https://www.ijirset.com/upload/2014/icets/2_CE101.pdf. Barry LePatner, Stadium Cost Overruns, Commercial Property Executive (Aug. 17, 2010), https://www.cpexecutive.com/post/qa-stadium-cost-overruns/. The Ross Group, 5 Tips to Avoid Construction Cost Overruns, From a Commercial Builder, Commercial & Industrial Construction Blog (Sept. 23, 2013), http://www.therossgrp.com/blog/bid/336695/5-Tips-to-Avoid-Construction-Cost-Overruns-From-a-Commercial-Builder. Claire Bordat, Bob G. McCullouch, Samuel Labi, & Kumares C. Sinha, An Analysis of Cost Overruns and Time Delays of INDOT Projects, page 5, (INDOT Research, Final Report, Dec. 2004), http://docs.lib.purdue.edu/cgi/viewcontent.cgi?article=1482&context=jtrp. The Ross Group, supra note 21. Darrell Preston & Aaron Kuriloff, Cincinnati Stadiums Bury County Government in Debt, Bloomberg (Dec. 17, 2013), https://www.bloomberg.com/news/articles/2013-12-18/cincinnati-stadiums-bury-county-government-in-debt). Mike Florio, The Staggering Costs of Paul Brown Stadium, Pro Football Talk (Jan. 18, 2016), http://profootballtalk.nbcsports.com/2016/01/18/the-staggering-taxpayer-costs-of-paul-brown-stadium/. Cincinnati Voters Approve Tax, NY Times (Mar. 20, 1996), http://www.nytimes.com/1996/03/20/sports/sports-people-football-cincinnati-voters-approve-tax.html. Preston & Kuriloff, supra note 25. Lease Agreement by and between The Board of Commissioners of Hamilton County, Ohio and Cincinnati Bengals, Inc., Recital A (May 29, 1997). See Dan Klepal, Credit Line Will Shield Taxpayers, Cincinnati Enquirer (Mar. 28, 2001), http://www.enquirer.com/editions/2001/03/28/loc_credit_line_will.html; See also Dan Kepal, Stadium Mistakes Not Repeated, Cincinnati Enquirer (Mar. 18, 2003), http://enquirer.com/editions/2003/03/18/loc_compare18.html. Lease Agreement by and between The Board of Commissioners of Hamilton County, Ohio and Cincinnati Bengals, Inc., Recital A, pg. 1 (May 29, 1997). Id. at Art. 3, 10. Id. at Art. 33; Art. 8.2. Game Days or “Team Days” are days which the Team uses the Stadium Facility for Team events that are open to the general public. Lease Agreement at Art. 12.3. Marais Jacon-Duffy, John Oliver Pokes Fun at Cincinnati and the Bengals on Last Week Tonight, WCPO (July 13, 2015), http://www.wcpo.com/entertainment/john-oliver-bashes-cincinnati-and-the-bengals-on-last-week-tonight. Lucy May, Shoveling, Shuffling at New Stadium, Cincinnati Enquirer (Apr. 26, 1998), http://enquirer.com/editions/1998/04/26/stadium.html. Dan Klepal, Stadium Audit: $18.5M in Overruns Unjustified, Cincinnati Enquirer (Jan. 11, 2001), http://bengals.enquirer.com/2001/01/11/ben_stadium_audit_18_5m.html. Lease Agreement, Art. 4.6.1 – 4.6.3 (pg. 15-17); Exhibit C.
 John Nolan, Bengals: Taxpayer Lawsuit Without Merit, Our Midland (Jan. 29, 2003), http://www.ourmidland.com/news/article/Bengals-Taxpayer-Lawsuit-Without-Merit-7046843.php; Hamilton County Board of County Com’rs v. National Football League, 445 F.Supp.2d 835 (S.D. Ohio, 2006). Martin J. Greenberg, Sports Facility Financing and Development Trends in the United States, 15 Marq. Sports L. Rev. 93 (2004) (emphasis added). Nolan, supra note 53; Joe Kay, Federal Judge Upholds Lawsuit Challenging NFL, Augusta Chronicle (Feb. 10, 2004), http://old.chronicle.augusta.com/stories/2004/02/10/pro_404113.shtml. See Hamilton County Board of County Com’rs v. National Football League, 445 F.Supp.2d 835 (S.D. Ohio, 2006). See Hamilton County Bd. of Com’rs v. Nat’l Football League, 491 F.3d 310 (6th Cir. 2007). 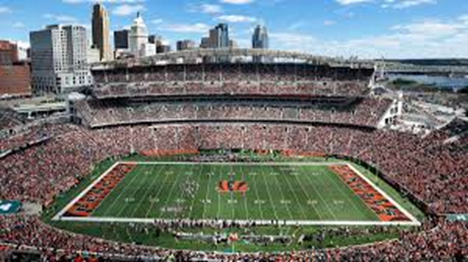 Associated Press, Bengals Agree to Pay Stadium Rent, ESPN (Dec. 2, 2010), http://www.espn.com/nfl/news/story?id=5876156. Michael Long, Bengals and Reds Agree, Shrewd Deals with Hamilton County, Pro Sports Media (Dec. 2, 2010), http://www.sportspromedia.com/news/bengals_and_reds_agree_shrewd_deals_with_hamilton_county. Associated Press, supra note 64. 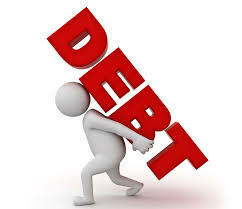 Janell Ross, Ohio County Stadium Debts Force Government to Sell Hospital, Raid Savings, Huffington Post (Mar. 16, 2012), http://www.huffingtonpost.com/2012/03/16/ohio-county-stadium-debts-cincinnati-bengals-reds_n_1347733.html. Scott Keyes, After Using Over $500 Million in Taxpayer Money to Build Sports Stadiums, Cincinnati Forced to Sell Off Local Hospital, Think Progress (Mar. 20, 2012), https://thinkprogress.org/after-using-over-500-million-in-taxpayer-money-to-build-sports-stadiums-cincinnati-forced-to-sell-7df97abe101e. Who Dey Perspective: Bengals Rebuttal to Wall Street Journal, Bengals (July 13, 2011), http://www.bengals.com/news/article-1/Who-Dey-Perspective-Bengals-rebuttal-to-Wall-Street-Journal/ff819630-11b3-43b6-bade-15369dfe5cef. Darrell Preston, Cincinnati’s Worst Stadium Deal Ever Seeks Lower Borrowing Costs, Bloomberg (July 28, 2016), https://www.bloomberg.com/news/articles/2016-07-28/cincinnati-s-worst-stadium-deal-ever-seeks-lower-borrowing-costs. Jay Hanselman, Hamilton County Officially Refinances Stadium Debt to Save Money, WVXU (Aug. 4, 2016), http://wvxu.org/post/hamilton-county-officially-refinances-stadium-debt-save-money#stream/0. Gregg Easterbrook, How the NFL Fleeces Taxpayers, The Atlantic (Oct. 2013), https://www.theatlantic.com/magazine/archive/2013/10/how-the-nfl-fleeces-taxpayers/309448/. 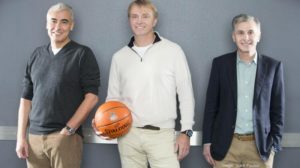 Forbes Announces the World’s 50 Most Valuable Sports Teams, Forbes (July 5, 2013), http://www.forbes.com/sites/forbespr/2013/07/15/forbes-announces-the-worlds-50-most-valuable-sports-team/. Brien Farley, Yankees Stadium Gobbles Taxpayer Money, Reignites Debate Over Public Funding, Heartland (Oct. 8, 2008), https://www.heartland.org/news-opinion/news/yankees-stadium-gobbles-taxpayer-money-reignites-debate-over-public-funding?source=policybot. Timothy Williams, Time and Cost Rise for Yankee Stadium Parks, NY Times (May 25, 2008), http://www.nytimes.com/2008/05/25/nyregion/25parks.html. 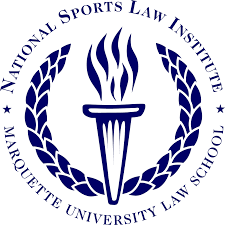 Sports Facility Reports, Marquette University Law School, https://law.marquette.edu/national-sports-law-institute/sports-facility-reports-volume-2-number-1-spring-2001. Charles Anderson, Baseball Stadium Agreement Research, Miami Dade County Board of County Commissioners (Feb. 11, 2009), http://www.miamidade.gov/auditor/library/09-02-11.Baseball%20Stadium%20Agreement%20Research.pdf. Presentation, Centre City Development Corporation – NFL Stadium Financing Background, Evolution Media Capital (Jan. 2010), http://cdn.sandiegouniontrib.com/news/documents/2010/10/08/jan_2010_ccdc_presentation.pdf. David Barboza, Chicago Journal; Soldier Field Renovation Brings Out Boo-Birds, NY Times (June 16, 2003), http://www.nytimes.com/2003/06/16/us/chicago-journal-soldier-field-renovation-brings-out-boo-birds.html. AP, Chicago Bears to Pay $49 Million in Cost Overruns at Soldier Field, NWI Times (Oct 15, 2003), http://www.nwitimes.com/news/local/chicago-bears-to-pay-million-in-cost-overruns-at-soldier/article_a7d0bb17-fb90-5f40-8df7-9bd10180e1f9.html. Jared S. Hopkins, Taxpayers Cover Soldier Field, U.S. Cellular Field Shortfalls, Chicago Tribune (Dec. 1, 2011), http://articles.chicagotribune.com/2011-12-01/news/ct-met-isfa-city-fund-20111201_1_hotel-tax-tax-revenue-soldier-field. 2006 Lease Amendment between Jackson County Sports Complex Authority and Kansas City Royals Baseball Corporation (Jan. 24, 2006), http://mlb.mlb.com/kc/download/announcements/leaseroyals012406.pdf. Orlando Soccer Stadium Project Construction Agreement (Apr. 21, 2014), http://media.bizj.us/view/img/2324771/orlando-soccer-stadium-construction-agreement-draft-32114.21.14.pdf. Master Agreement Regarding Ballpark Complex Project between City of Arlington and Rangers Baseball LLC (May 24, 2016), http://www.arlington-tx.gov/ballparkproject/wp-content/uploads/sites/61/2016/06/Master-Agreement.pdf. Construction Services Agreement between The Minnesota Sports Facilities Authority and the Construction Manager (Feb. 2, 2013), http://finance-commerce.com/wp-files/crevs/csa-fully-executed-2013-02-15.pdf. Development Agreement Among County Parties and Braves Parties (May 27, 2014), https://cobbcounty.org/images/documents/boc/braves/EXECUTED-Development-Agreement.pdf. Hannah Covington, U.S. Bank Stadium Open House Swamped with Soggy Visitors, Star Tribune (July 23, 2016), http://www.startribune.com/u-s-bank-stadium-open-house-swamped-with-visitors-storms/388030792/#1. Frequently Asked Questions, Vikings, http://www.vikings.com/stadium/new-stadium/faq.html#cost (last visited Oct. 21, 2017). Eric Roper, Taxes to Pay for Now-Open U.S. Bank Stadium Rebound, Thanks to Gamblers, Star Tribune (July 22, 2016) http://www.startribune.com/taxes-to-pay-for-u-s-bank-stadium-rebound/387999002/. Martin J. Greenberg & Michael R. Gavin, The Windfall Clause, Sport$Biz (Nov. 1, 2016), https://www.greenberglawoffice.com/windfall-clause/. 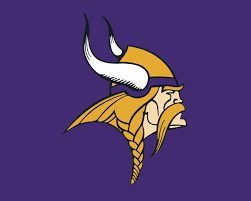 Development Agreement by and between Minnesota Sports Facilities Authority and Minnesota Vikings Football, LLC (Oct. 3, 2013), https://www.leg.state.mn.us/docs/2013/other/131139.pdf. Construction Services Agreement supra note 98. Tom Baker, Vikings Stadium Cost Overruns Settled for $16M, MPR News (Feb 19, 2016), https://www.mprnews.org/story/2016/02/19/16m-deal-vikings-stadium-dispute-cost-overruns. John Holler, Minnesota Vikings Not on the Hook for Bridge Cost Overruns, Scout (Dec. 6, 2016), http://www.scout.com/nfl/vikings/story/1735248-bridging-the-gap-on-bridge-costs. Associated Press, U.S. Bank Stadium Gutter Leak to Cost Designers Up to $4 Million, 1500 ESPN (Feb. 20, 2016), http://www.1500espn.com/vikings-2/2016/02/u-s-bank-stadium-gutter-leak-to-cost-designers-up-to-4-million/. Rochelle Olson, Vikings Stadium Cost Dispute is Critical to Mortenson’s Share of the Project, Star Tribune (Aug. 7, 2015), http://www.startribune.com/vikings-stadium-cost-dispute-is-critical-to-mortenson-s-share-of-the-project/321095291/. John Holler, U.S. Bank Stadium Dispute Over Money Settled, Scout (Feb. 20, 2016), http://www.scout.com/nfl/vikings/story/1644257-u-s-bank-stadium-dispute-settled. 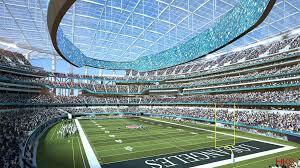 Martin J. Greenberg, The New Atlanta Falcons Stadium – A Continuation of the Trend Towards More Private Funding of NFL Stadiums, Sport$Biz (Nov. 1, 2015), https://www.greenberglawoffice.com/the-new-atlanta-falcons-stadium-a-continuation-of-the-trend-towards-more-private-funding-of-nfl-stadiums/. Project Development and Funding Agreement signed between Georgia World Congress Center Authority, the Atlanta Falcons Stadium Company, and the Atlanta Falcons Football Club (Feb. 5th, 2014). Id. at Section 7.8, pg. 28. Nadine M. Post, The Agonies of Building Atlanta’s Mercedes-Benz Stadium, Engineering News Record (July, 26, 2017), http://www.enr.com/articles/42419-the-agonies-of-building-atlantas-mercedes-benz-stadium. Bob Hille, New Falcons Stadium Cost Reportedly Up to $1.4 Billion Amid Delays, Sporting News (Jan. 22, 2016), http://www.sportingnews.com/nfl/news/falcons-stadium-update-cost-opening-mls-construction/csgtqdljqo291p2ipuu1zt6f2. Tim Tucker, Mercedes-Benz Stadium Falls Behind Schedule, Atlanta Journal-Constitution (Jan. 21, 2016), http://www.myajc.com/sports/football/mercedes-benz-stadium-falls-behind-schedule/3CMPAfe215AOrNYSUchHFM/. Mike Florio, Falcons Order $200 Million in Changes to New Stadium, Pro Football Talk (June 20, 2016), http://profootballtalk.nbcsports.com/2016/06/20/falcons-order-200-million-in-changes-to-new-stadium/. Tim Tucker, Mercedes-Benz Stadium Opening is Pushed Back Again, Atlanta Journal-Constitution (Apr. 18, 2017), http://www.ajc.com/sports/football/mercedes-benz-stadium-opening-pushed-back-again/wLnfyURmUXYvGcj6iaROMM/. Doug Roberson, Atlanta United President Understands Fans’ Frustration, Atlanta Journal-Constitution (Apr. 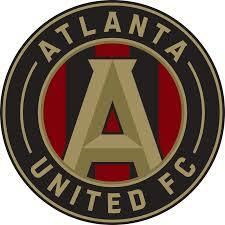 18, 2017), http://www.ajc.com/sports/atlanta-united-president-understands-fans-frustration/VbaGcZx5exSzDMPFBF4NpI/. CBS46 (July 21, 2017), http://www.cbs46.com/story/35945436/2500-working-around-the-clock-on-mercedes-benz-stadium. 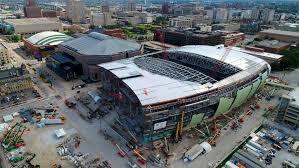 Associated Press, Bucks: New Arena Reaches Construction Milestone, Associated Press (Dec 30, 2016), http://host.madison.com/wsj/sports/basketball/professional/bucks-new-arena-reaches-construction-milestone/article_b71ab6fb-d83b-5ad5-bbb4-c1b4600c54fd.html. Theo Keith, “A Lot of Excitement:” Governor Walker Tours Milwaukee Bucks Arena Site; Shell is 45% complete, Fox6Now (Apr. 11, 2017), http://fox6now.com/2017/04/11/a-lot-of-excitement-governor-walker-tours-milwaukee-bucks-arena-site/. Bucks Funding Package Explained, Milwaukee District 4 (Summer 2015), http://city.milwaukee.gov/ImageLibrary/Groups/ccCouncil/2015-PDF/Bauman_Newsletter_Summer_2015_WEB.pdf. Wisconsin Senate Bill 209, § 229.461(1)-(2) (2015); Team Non-Relocation Agreement between Wisconsin Center District and Milwaukee Bucks, LLC (Apr. 13, 2016). 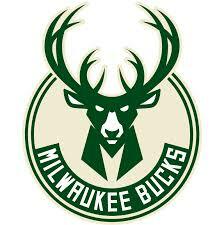 See Martin J. Greenberg & Daniel S. MacMillan, Milwaukee Bucks Non-Relocation Agreement, Sport$Biz (Apr. 1, 2017), https://www.greenberglawoffice.com/milwaukee-bucks-non-relocation-agreement/. A.J. Bayatpour & Myra Sanchick, Milwaukee Bucks, Wisconsin Center District Finalize 30-Year Lease for New Arena, Fox6Now (Apr. 13, 2016), http://fox6now.com/2016/04/13/milwaukee-bucks-arena-costs-rise-30-year-lease-carries-hefty-penalties-for-leaving-city/. Daniel Bice, Jason Stein, & Mary Spicuzza, Arena Deal Includes Public Funding Cap, Journal Sentinel Online (June 4, 2015), http://archive.jsonline.com/news/statepolitics/walker-arena-announcement-could-come-today-or-tomorrow-b99513331z1-306115811.html; AJ Bayatpour & Katie Delong, Johnson Controls, 1st Major Sponsor of New Bucks Arena, Named Official “Smart Building” Partner, Fox6Now (Mar. 30, 2017), http://fox6now.com/2017/03/30/johnson-controls-1st-major-sponsor-of-new-bucks-arena-named-official-smart-building-partner/. Section 11.3, Arena Development Agreement signed between Wisconsin Center District and Deer District LLC (April 13, 2016). 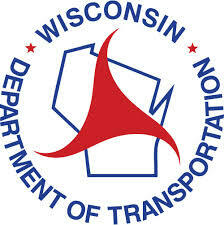 Arena Development Agreement between Wisconsin Center District and Deer District, LLC (Apr. 13, 2016). Overview, LA Stadium & Entertainment District at Hollywood Park, http://www.lased.com/#overview (last visited Oct. 21, 2017). Jeff Goertzen, Take a Look Inside L.A.’s New NFL Stadium, Future Home of the Rams and Chargers, Orange County Register (Aug. 11, 2017), http://www.ocregister.com/2017/08/11/take-a-look-inside-l-a-s-new-nfl-stadium-future-home-of-the-rams-and-chargers/. Kelsey E. Thomas, What the L.A. Rams Deal Says About Cities Building Stadiums, Next City (Jan. 14, 2016), https://nextcity.org/daily/entry/la-rams-new-stadium-funding-nfl. Lindsay Gibbs, The Biggest Surprise About the Rams’ Relocation to Los Angeles? It’s Actually a Win for Taxpayers, Think Progress (Jan. 13, 2016), https://thinkprogress.org/the-biggest-surprise-about-the-rams-relocation-to-los-angeles-it-s-actually-a-win-for-taxpayers-865635148fa5/. See Coliseum History, Los Angeles Memorial Coliseum, http://www.lacoliseum.com/index.php/coliseum-history/ (last visited Oct. 21, 2017); see also Los Angeles Coliseum, College Gridirons, http://www.collegegridirons.com/stadiums/los-angeles-coliseum/ (last visited Oct. 21, 2017). See Rams’ Attendance Issues at L.A. Coliseum Are Flat-Out Embarrassing, NESN (Sept. 17, 2917), https://nesn.com/2017/09/rams-attendance-issues-at-l-a-coliseum-are-flat-out-embarrassing/. Jim Buzinski, The Chargers’ New Home at StubHub Center Will Be Best Place to Watch an NFL Game, SB Nation (Sept. 17, 2017), https://www.sbnation.com/2017/9/17/16152772/chargers-stubhub-center-small-stadium-nfl. Peter King, The Boss, the ’Boys and the Recommitment to the 2017 NFL Season, Sports Illustrated (July 31, 2017), https://www.si.com/nfl/2017/07/31/nfl-training-camps-tour-cowboys-broncos-rams-chargers-peter-king. Will the Rams and Chargers’ Stadium Delays Lead to Cost Overruns?, Klein & Wilson Construction Litigation (June 23, 2017), http://www.kleinandwilson.com/blog/2017/06/will-the-rams-and-chargers-stadium-delays-lead-to-cost-overruns.shtml. Jason La Canfora, Here’s How Much the L.A. Stadium Delay Will Cost Rams, Chargers — and the NFL, CBS (May 22, 2017), https://www.cbssports.com/nfl/news/heres-how-much-l-a-stadium-delay-will-cost-rams-chargers-and-the-nfl/. See Post, supra note 130. Marvin Clemons, Raiders Confirm Las Vegas Stadium Groundbreaking on Nov. 13, KSNV News3LV, http://news3lv.com/news/local/raiders-confirm-las-vegas-groundbreaking-on-nov-13 (last visited Oct. 21, 2017). See Zach Spedden, Cost of Las Vegas Stadium Remains Uncertain, Football Stadium Digest, (June 14, 2017), https://footballstadiumdigest.com/2017/06/firm-cost-of-las-vegas-stadium-remains-uncertain/. Michael Scott Davidson, Parking Concerns Remain Ahead of Vote About Las Vegas Raiders Stadium, Las Vegas Review-Journal (Aug. 9, 2017), https://www.reviewjournal.com/business/stadium/parking-concerns-remain-ahead-of-vote-about-las-vegas-raiders-stadium/; see Tommy Tran, New Raiders Stadium in Las Vegas Running into Parking Issue, ABC 30 (Aug. 29, 2017), http://abc30.com/sports/new-raiders-stadium-in-las-vegas-running-into-parking-issue/2356743/. Heidi Fang, Here’s a Look at the Raiders’ New Stadium Site in Las Vegas, Las Vegas Review-Journal (May 2, 2017), https://www.reviewjournal.com/sports/raiders-nfl/heres-a-look-at-the-raiders-new-stadium-site-in-las-vegas-video/. See Michael Scott Davidson, Stadium Traffic Study Lists Improvements Needed by 2020 NFL Season, Las Vegas Review-Journal (June 1, 2017), https://www.reviewjournal.com/local/local-las-vegas/stadium-traffic-study-lists-improvements-needed-by-2020-nfl-season/; see also Neil deMause, Las Vegas Study Estimates Raiders Stadium Road Costs to be “We’ll Figure That Out Later”, Field of Schemes (June 2, 2017), http://www.fieldofschemes.com/2017/06/02/12521/las-vegas-study-estimates-raiders-stadium-road-costs-to-be-well-figure-that-out-later/. Richard N. Velotta, Exact Cost of Raiders’ Las Vegas Stadium Still Unknown, Las Vegas Review-Journal (June 12, 2017), https://www.reviewjournal.com/business/stadium/exact-cost-of-raiders-las-vegas-stadium-still-unknown/. Frequently Asked Questions (FAQ), Las Vegas Stadium Authority, http://www.lvstadiumauthority.com/about/faq.php (last visited, Oct. 21, 2017). SI Wire, Washington D.C. Council Approves New D.C. United Stadium, Sports Illustrated, (Dec. 17, 2014), https://www.si.com/planet-futbol/2014/12/17/dc-united-new-stadium. D.C. Code Ann. § 10-1603.01 et seq. (Oct. 22, 2015) (West). Jonathan O’Connell & Jacqueline Dupree, A Walking Tour in Pictures: Buzzard Point, Where D.C. United Plans its Stadium, Washington Post (Nov. 14, 2013), https://www.washingtonpost.com/business/capitalbusiness/a-walking-tour-in-pictures-buzzard-point-where-dc-united-plans-its-stadium/2013/11/14/6bfa0bfc-4779-11e3-bf0c-cebf37c6f484_story.html?utm_term=.a3f8b2bc8377. See Soccer Stadium Development Amendment Act of 2014, D.C. ACT 20-556, (https://dmped.dc.gov/sites/default/files/dc/sites/config/page_content/attachments/Soccer%20Stadium%20Development%20Amendment%20Act%20of%202014%20-%20Executed%20%2812-30-14%29.pdf; see also DC ST § 10-1603.01 et seq. (October 22, 2015). O’Connell & Dupree, supra note 195. D.C. Code Ann. § 10-1603.06 (Oct. 22, 2015) (West). D.C. Code Ann. § 10-1603.03 (Oct. 22, 2015) (West). Audi Field, D.C. United, https://www.dcunited.com/audi-field (last visited Oct. 31, 2017). Kim Slowey, United Secures 120M in Loans for Stadium Construction, Construction Dive (June 23, 2017), http://www.constructiondive.com/news/dc-united-secures-120m-in-loans-for-stadium-construction/445694/; Jonathan O’Connell, United, District Reach Final Terms on Stadium Deal, Washington Post (June 8, 2015), https://www.washingtonpost.com/news/digger/wp/2015/06/08/officials-united-district-reach-final-terms-on-stadium-deal/?utm_term=.8afaa5306973. Patrick Sisson, Can Sustainable Stadiums be a Better Deal for Cities and Environment?, Curbed (July 6, 2017), https://www.curbed.com/2017/7/6/15925216/soccer-washington-dc-stadium-solar-power. Brian Straus, It Finally Happened: D.C. United Breaks Ground on New, Own Stadium, Planet Futbol (Feb. 27, 2017), https://www.si.com/planet-futbol/2017/02/27/dc-united-stadium-groundbreaking-buzzard-point-audi-field. Kim Slowey, DC United, Neighbors Reach Agreement Over Controversial Stadium Design, Construction Dive (Oct. 27, 2016), https://www.constructiondive.com/news/dc-united-neighbors-reach-agreement-over-controversial-stadium-design/429159/. Steven Goff, D.C. United’s New Stadium is Coming Along, but its Home Schedule is ‘a Rubik’s Cube’, Washington Post (Sept. 21, 2017), https://www.washingtonpost.com/news/soccer-insider/wp/2017/09/21/d-c-uniteds-new-stadium-is-coming-along-but-its-home-schedule-is-a-rubiks-cube/?utm_term=.56c6a5f92408. 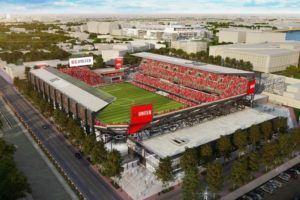 MLS Soccer Staff, D.C. United Plan to Play All Home Games at Audi Field in 2018, USA Today Sports (Sept. 22, 2017), https://www.mlssoccer.com/post/2017/09/22/d-c-united-plan-play-all-home-games-audi-field-2018. Hartford Mayor Says Rock Cats Are Moving to Hartford, NBC Connecticut (June 2, 2014), https://www.nbcconnecticut.com/news/local/New-Britain-Rock-Cats-Move-To-Hartford-Baseball-Minor-League-Restall-Mayor-Stewart-261577721.html. See Joseph Wenzel IV, Susan Raff, & Kaitlyn Naples, Groundbreaking Ceremony Held for New Ballpark in Hartford, WFSB 3 Connecticut, http://www.wfsb.com/story/28124807/groundbreaking-ceremony-to-be-held-for-new-ballpark-in-hartford; see also New Britain Rock Cats to Become Hartford Yard Goats, NBC Connecticut (Mar 18, 2015), https://www.nbcconnecticut.com/news/local/Rock-Cats-to-Release-New-Team-Name-296700131.html; see also Teams by Affiliation, MiLB, http://www.milb.com/milb/info/affiliations.jsp (last visited, Nov. 1, 2017). Jenna Carlesso, Seven Things to Know About the Hartford Stadium Project, Baltimore Sun (Feb. 17, 2015), http://www.baltimoresun.com/hc-hartford-rock-cats-stadium-7-things-0217-20150216-story.html. Vincent Nelan, Stadium Construction Dispute Turns into FBI Investigation, Baker Bricks (Mar. 1, 2017), https://www.bakerbricks.com/stadium-construction-dispute-turns-fbi-investigation/. Emma Baccellieri, The FBI is Now Investigating Hartford’s Disaster of a Minor-League Stadium Deal, Deadspin (Feb. 25, 2017), https://deadspin.com/the-fbi-is-now-investigating-hartfords-disaster-of-a-mi-1792747526; Jon Lender, Edmund H. Mahony, & Steven Goode, FBI Launches Probe into Dunkin’ Donuts Park Construction Payments, Hartford Courant (Feb. 24, 2017) http://www.courant.com/politics/hc-feds-dunkin-donuts-park-20170224-story.html. 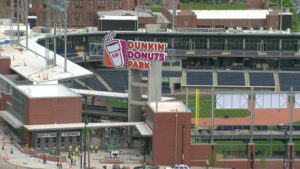 See Jon Lender, Edmund H. Mahony, & Steven Goode, FBI Launches Probe into Dunkin’ Donuts Park Construction Payments, Hartford Courant (Feb. 24, 2017) http://www.courant.com/politics/hc-feds-dunkin-donuts-park-20170224-story.html; see also Kevin Reichard, Mediation Fails in Dunkin’ Donuts Park Dispute, Ballpark Digest (June 10, 2017), https://ballparkdigest.com/2017/06/10/mediation-fails-in-dunkin-donuts-park-dispute/. Lender, Mahony, & Goode, supra note 216. Steven Goode, Ex-Dunkin’ Donuts Park Developer Robert Landino Says He’s Not Under Investigation, Hartford Courant (Oct. 23, 2017), http://www.courant.com/news/connecticut/hc-news-hartfiord-centerplan-no-investigation-20171023-story.html. Sarah Kuta, CU Regents Approve $142M in Athletic Facilities Upgrades, Boulder Daily Camera (Dec. 4, 2013), http://www.dailycamera.com/cu-college-sports/ci_24650754/cu-boulder-officials-propose-142m-athletic-facilities-upgrades. Sarah Kuta, CU-Boulder Adds $13M to Cost of Athletic Facilities Project, Boulder Daily Camera (Aug. 2, 2014), http://www.dailycamera.com/cu-news/ci_26262921/cu-boulder-adds-13m-cost-athletic-facilities-project. Sarah Kuta, CU-Boulder: Stadium Expansion Needs Extra $4M, Boulder Daily Camera (Aug. 8, 2015), http://www.dailycamera.com/cu-news/ci_28606301/cu-boulder-stadium-expansion-needs-extra-4m. Sarah Kuta, CU-Boulder’s Stadium Expansion Now Over Budget, Boulder Daily Camera (Feb. 19, 2016), http://www.dailycamera.com/sports/ci_29537395/cu-boulders-stadium-expansion-now-24m-over-budget. CU Boulder Athletics Complex Expansion Now Complete, ENR Mountain States (Apr. 21, 2016), https://www.enr.com/articles/39290-cu-boulder-athletics-complex-expansion-now-complete. Marc Wortman, The Stadiums That Ate Texas, CityLab (Feb. 15, 2017), https://www.citylab.com/design/2017/02/the-stadiums-that-ate-texas/516279/. Catherine Ross, Allen Unveils $60 Million Eagle Stadium, NBC 5 – Dallas-Fort Worth (Aug. 3, 2012), https://www.nbcdfw.com/news/local/Allen-Unveils-New-Eagle-Stadium-164932936.html. THC Staff, Katy Football Stadium Now a Whopping $70M Project, Texas Hill Country, (Oct. 31, 2016), http://texashillcountry.com/katy-football-stadium-project/. Cam Smith, New Katy (Texas) Stadium Now Tops $70 Million in Costs, USA Today High School Sports (Oct. 28, 2016), http://usatodayhss.com/2016/new-katy-texas-stadium-now-tops-70-million-in-costs. Mike McPhate, That’s Right, $63 Million for a Football Stadium … for High Schoolers, NY Times (May 11, 2016), https://www.nytimes.com/2016/05/12/sports/high-school-football-stadium-texas-63-million.html. 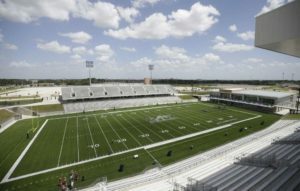 Texas High School’s Budget-Busting Stadium to Cost $70M, Fox News (Aug. 22, 2016), http://www.foxnews.com/sports/2016/08/22/texas-high-schools-budget-busting-stadium-to-cost-70m.html.